If you've never played tennis (but always wanted to learn) or haven't played in years (and need to shake the rust off your game), you might be interested in the Taste of Tennis being held by MatchMaker Tennis this Saturday. MatchMaker Tennis is a local club that pairs tennis players, offers lessons and clinics, and holds social events for its members. 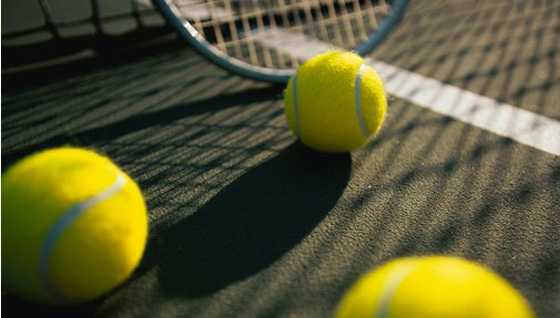 While there's normally a fee for events and membership dues, they're holding a free beginner tennis class for adults that is open to the public. The Taste of Tennis free session is scheduled for Saturday, April 17, 10 a.m.-12 p.m. at tennis courts 5 and 6 at Freedom Park (1900 East Boulevard). You must register at www.matchmakertennis.com if you wish to participate, and as of this morning there were 18 spots available (capacity is 40). This event is part of a free summer series. This session will teach the serve and forehand, and the next one will focus on the backhand and volley. The goal is that by the time you're done with the series, you'll know the basics of playing tennis. My girlfriend and I are actually signed up for Saturday. My only related experience is playing badminton in my backyard as a kid (sounds fancy but we had one of those basic kits that included a net and the equipment for volleyball and badminton). I'm also a fairly good ping-pong player. But I have no allusions of doing too well on a tennis court.